When Father Ignatius is suspected of murder his whole life is turned upside down. His faith takes a real shaking as he tries in vain to plead his innocence. The Church is shaken to its very foundations and his parishioners jump to as many conclusions as they can find and start judging without any facts or evidence. This is the time for the priest to find out who his real friends are. Or are they keeping close to him for ulterior motives? “THE PRIEST AND PROSTITUTE” is a fast-paced story with believable characters and situations. A realistic self-test as to one’s faith and beliefs, as well as the ability to stay focussed on God when it seems He has abandoned you. The author skilfully combines humour with suspense to deliver a Christian message relevant to today’s society. 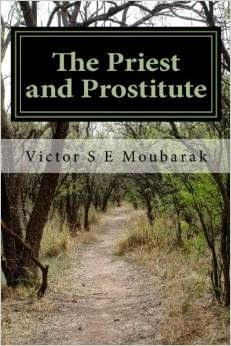 Victor S E Moubarak has published several books available from his website or in Kindle format from Amazon. His books: “VISIONS” ISBN 978 1 60477 032 2 and “GOD’S SHEPHERD” ISBN 978-1500683955 are also available in paperback from Amazon and all good booksellers. Here’s part one of an intelligent presentation on the Christian position on marriage. All too often Christian and other religion’s stance is presented as a straw man argument by those who think differently. They want to bolster their argument by making the other side seem bigotted or ill informed, which is not the case. For parts 2 and 3 click here. It’s worth your time to get the facts straight. A fabulous YouTube video that’s intelligent and meaningful with great animation. I’m sure a lot of Catholics and Christians, among people of other faiths, are upset about the election results. Some vote based on their one favorite issue, say right to life or traditional marriage. Actually, the president doesn’t do much with such issues. Change occurs in the state legislature or in the Supreme Court, which the President can influence in terms of whom he picks when there’s an opening. Yet, while I understand and share your beliefs, I don’t think God only calls us to address these matters through the law. I think it’s far better to influence through fellowship, modeling, and compassion. Rather than having pastors exhort followers to vote one way or another, it’s much more powerful to urge us to live differently, to reach out to neighbors, coworkers and friends. To be so compassionate and wise that people notice, that they seek us out and when they do we respond with love and wisdom from the gospel. I think God can work miracles through each of us this way. It’s not easy to do, and I hope our churches help us change so that we can live our faith in a deeper way. On hulu.com, I found an exclusive British series called The Rev. 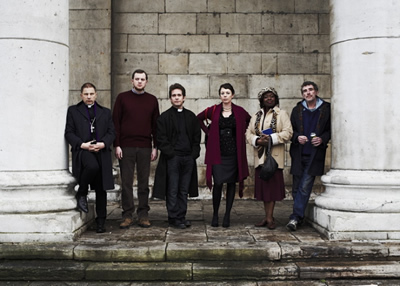 Starring Tom Hollander as a vicar newly transferred from the countryside to a struggling parish in East London, The Rev’s got a lot going for it. 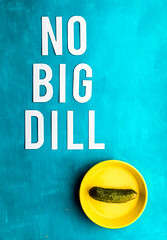 It’s smart and charming with a cast of beautiful losers like the stick in the mud associate, Nigel, the smart, loyal wife, Alex, the prim headmistress and the quirky down and out Collin. The Rev offers a humorous, real depiction of faith and hits the nail on the head with it’s jibes at the young, cool Christians who sip smoothies in church as their pastor extolls God’s awesomeness or the annoyance of a know-it-all, critical archdeacon. While I don’t laugh out loud, the way I do when watching Outnumbered, I do like these characters and this church with its broken window, faded paint and small, odd-ball congregation. The cast reminds me a bit of The Bob Newhart Show. I’m impressed that the writers consult real vicars and get so much of the theology and issues right. I’ve been shocked to learn that a near and dear one has been hiding a great pain for more than two years. Despite our Christian faith, she’s felt it’s best to hide, to maintain a façade, to live the “Stained Glass Masquerade.” I feel this is a great failing as a Christian community. What is going on if we all go to church, but also hide are real hurts from everyone? If we can’t be real with at least two or three fellow Christians? Seems Christ teaches us to be real above all else. I wouldn’t expect anyone to share anything deep at church, at any church function or even with some petitions which are real, but seem only used for people who’re sick or recently died. Those are safe petitions and folks in these parts can admit that. We can’t admit our failures. Why are there no petitions at the churches I’ve been to for people out of work? For people whose marriages are failing? For people who’re drinking too much? We don’t trust each other, even smaller groups with this kind of information. At the parishes near me there are no groups that aren’t for sports or socializing. What a sad commentary on a faith that should change the world for the better. Commonweal‘s weekly email led me to an essay responding to a preposterous ad that aims to persuade liberal and nominal Catholics to quit the church because its teachings are “out of step with the times”. Is this for real? Yep. As bizarre and poorly thought out as it sounds, these folks are for real. I have to pity the people who put the ad out there to begin with. They just don’t get that being Catholic or Christian or a believer of any faith is not the same as say belonging to a club like the Boy Scouts or Lions. Certainly, there are many with superficial faith, who did get a weak education or catechism, and they’ve got a slew of wrong ideas about God, Jesus, the Holy Spirit, and the church. That’s an issue the church needs to address, but I am glad that the church doesn’t just follow what’s popular and takes a long view. I do agree that some changes need to be made in the church, but not based on this ad or the ideology of those who paid for it. The church constantly needs to strive for correct teaching. It’s not a job that’s ever done, but that doesn’t mean we need to fit in with the outside culture as it shifts and stumbles along. Catholicism goes deeper and it ought to. 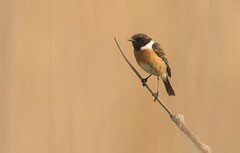 Yes, those who’s faith is like seed on rock may leave, but most of them left already, sadly. The church is not all about how many members there are. It shouldn’t be at least. Even if half the Catholics left, which I doubt would happen, this religion is here to stay. Every 500 years or so the church faces a major crisis and it looks like it’s in jeopardy, but it has always bounced back and grown. Ironically, this little ad may wind up bringing people to Catholicism. 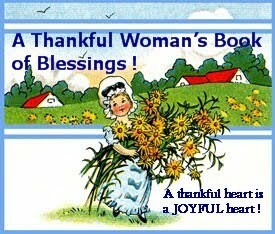 On Wednesdays, Judy, creator of an inspiring blog, A Thankful Woman’s Book of Blessings encourages participants to list their blessings, to give thanks for the five things in the past week and then link to Judy’s blog. Be sure to also check out her other blog and her website when you visit. New friends, Kristyn and Bev, who went exploring the tea market with me on Saturday. New friend, Helene, who’s got a lovely spirit and lots of good stories. I also admire how she changed her life plans to take care of her granddaughter. A new semester, a new beginning. That I got accepted to the Marquette Masters of Educational Policy and Leadership, though I have to see if I get a fellowship. For Lent as I think we need a season to reflect and help us get a little more serious about what God wants from each of us. Hear My Prayer, O Lord . . .
worse. Rebuke me in front of my ersatz friends. Who cares? for my skin. Without it I’d be in worse shape than I’m in. “Hear My Prayer, O Lord…” by Barbara Hamby, from All-Night Lingo Tango. I love how real and current this sonnet is. You don’t have to live in the Renaissance to write one.